Rated #4 out of the 75 Best Golf Resorts in the U.S., Sea Island Golf Club offers three exceptional 18-hole championship courses. Seaside, a links course graced by majestic ocean vistas in the tradition of St. Andrews, is the site of the PGA TOUR's RSM Classic, along with Plantation, which winds enticingly through marsh and forest. Retreat Course offers a uniquely dramatic and challenging design cultivated by Davis Love III and Mark Love. Rated #4 out of the 75 Best Golf Resorts in the U.S., Sea Island Golf Club offers three exceptional 18-hole championship courses. 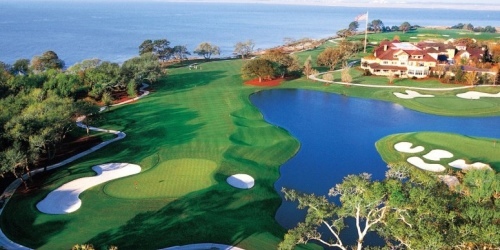 Sea Island Golf Club reserves the right to change price and offer at anytime. Prices and offer are subject to change without notice. GolfingGeorgia.com is not responsible for errors posted in this golf package.